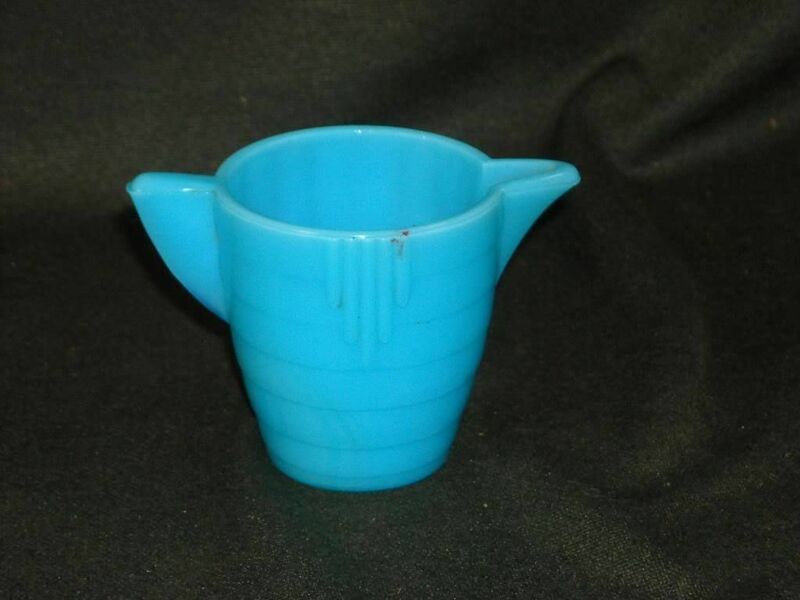 This listing is for an antique vibrant light blue milk glass creamer dish. It has two pouring spouts, and a very simple modern/ deco design. 2 3/8" x 3 1/2" x 2 1/4"